Kintamani and Ubud Tour is one of the most popular Bali full day trips itinerary to visit Bali attractions like seeing the Kintamani Volcano Bali (Mount Batur) and visiting the places of interest in Ubud Town, such as Tegalalang rice terraces and Ubud monkey forest. Kintamani Volcano Tour with Ubud Village is the most preferable one-day trips and one of the best tours in Bali, you certainly will be able to experience the Balinese culture such as enjoying the traditional Balinese dance as well as exploring the beautiful scenery and cultural sites. 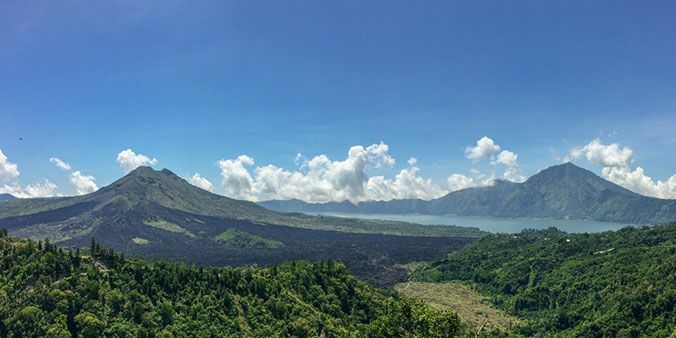 Kintamani is an excellent location in Bali to witness the beauty of Mount Batur (Indonesian: Gunung Batur) and also of Lake Batur, which is the largest lake in Bali island. The Mount Batur, which is 1717 m high, is one of the active volcanoes in Bali as well as the best location for sunrise trekking on the island of Bali, Indonesia. Ubud is a destination in Indonesia that currently is the center of arts and culture on the island of Bali, moreover, Ubud Village is also famous for its landscapes like the rice fields, hills, and valleys. Ubud Town is truly one of the most visited places in Bali by holiday-makers. We offer you the Kintamani Volcano Tour with Ubud Village also a one-day Bali driver hire (10 hours to 11 hours) to visit the places of interest in Bali, especially around Ubud Town and Kintamani. Below is the route of the one-day Bali Kintamani Tour with Ubud Village from Balitourify. The tour itinerary is really flexible, you are able to modify/add/skip the attractions depending on your desire on condition that it is within a direction to the primary spot as well as the time availability. You'll be accompanied by our professional and friendly Balinese driver who will guide you to explore the places of interest on this trip. The full-day tour Kintamani - Ubud is a private Bali tour service, which is only you and your companion together with our tour driver. Check out our half day sightseeing tour programs in Bali for varied other itineraries that are available in a half-day anytime you are looking forward to making short-day Bali excursions exclusively. The very first tourist destination to visit in the one-day trip Kintamani volcano and Ubud Town is the village of Batubulan to watch the Balinese Barong & Keris dance performance. The village of Batubulan in Gianyar Regency is renowned for a central point of the stone carving crafts in Bali, Indonesia. Batubulan is also generally known as the location for the Barong dance show, the show performed by local villagers every single day for tourists. 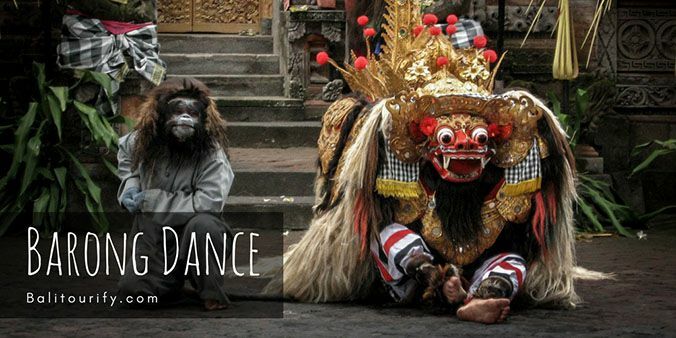 The Barong dance is the traditional tale of good (The Barong) triumphing over bad (The Rangda). The Barong is a big lion kind beast played out by 2 adult men, The Rangda is the personification of evil with long fingernails, long hair and also droopy breasts. The Barong goes concerning his job until he is definitely disrupted by Rangda. Eventually, a fight ensues and then the Barong’s followers get involved in attacking Rangda with their Keris (the Balinese daggers). Rangda, as a witch, is capable of using her magical strength to reverse the daggers against their users, who fall into a hypnotic trance and attempt to stab themselves. In Balinese dance performances, the motions are thoroughly connected with the rhythms made by the gamelan, a musical set particular to Java and Bali. Several stages of articulations in the face, hands, eyes, hands, fingers, arms, hips, and feet are synchronized to represent levels of percussive sounds. The struggles between Rangda and Barong are presented in the entire performance of the Barong dance to symbolize the infinite fight between the bad and the good. The Barong dance is a sacred dance and generally performed if there is disease or bad fortune in the village and there is consequently designed to dispel these "evil forces". The second places to visit in the Bali Kintamani-Ubud tour itinerary is visiting the town of Celuk. The Celuk Village in Gianyar Regency, Bali, has long been noted for Its gold & silver jewelry workmanship for a century. 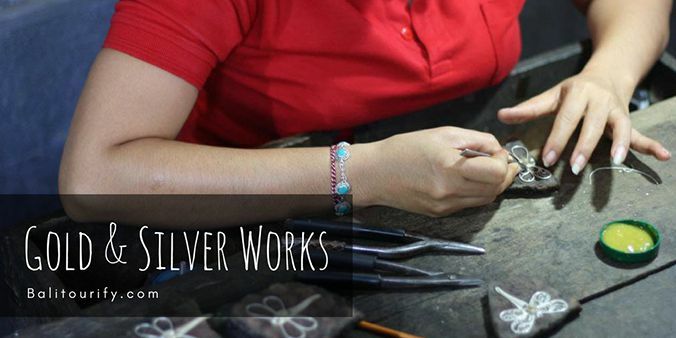 Its silversmiths and goldsmiths have already been passing down their skill to their descendants until these days. The beginning of Celuk’s ways of life started out when one of the Celuk residents visited the Mengwi Kingdom in 1915 to learn metallic element arts and crafts. Upon his return, he trained the first generation of jewelers to make tools and accessories for religious ceremonies. The products of those craftsmen grew to become essential accessories for the royal family members and also noblemen until the 1940s. In the 1950s, Bali started receiving travelers and holidaymakers, a number of art shops began showing up and selling the pieces of jewelry. But, the actual growth merely commenced in the 1980s together with the increase in tourism. Celuk additionally turned out to be a popular desired destination. Kintamani volcano and Ubud tour included a Barong show in Batubulan, seeing Balinese gold & silver works in Celuk, lunch break in Kintamani and visiting the attractions in Tampak Siring and Ubud. The third place to visit in the one-day Kintamani tour with Ubud village Bali itinerary is Batuan Temple. The Batuan Temple is a wonderful Hindu temple located in the center of Batuan Village strategically situated nearby the primary road of Denpasar to Ubud. This is a local village temple and an important part of 3 primary temples in a village that is known as Tri Khayangan. Batuan Temple is amazingly designed with Balinese architecture and traditional Balinese decorations in overall temple building which includes the entry gate. The following destination to go to in the full-day Ubud and Kintamani tour program is Penelokan Village, in the region situated in Kintamani, Bangli Regency, Bali. Kintamani is a cliffy part and offers a breathtaking mountain view of northeastern Bali in the Mount Batur's caldera. At this point, we are going to get a lunch break in a restaurant at the same time enjoying the fascinating view of Batur volcano (Mount Batur) and Lake Batur. Kintamani lies on the area of the vast Batur caldera, around 1,500 MASL (Meters above sea level), it features magnificent vistas of the Lake Batur and Mount Batur that is definitely known as the most climbed mountain on the island of Bali. The following point to explore in the full-day Kintamani Ubud Bali excursion is the place where you can taste a wide range of herbal teas and coffees, it is situated in Tampaksiring-Kintamani's main road. Here you can taste many of herbal teas & coffees for free of charge like ginseng coffee, mangosteen tea, ginger tea, coconut & vanilla coffee, saffron tea, etc. 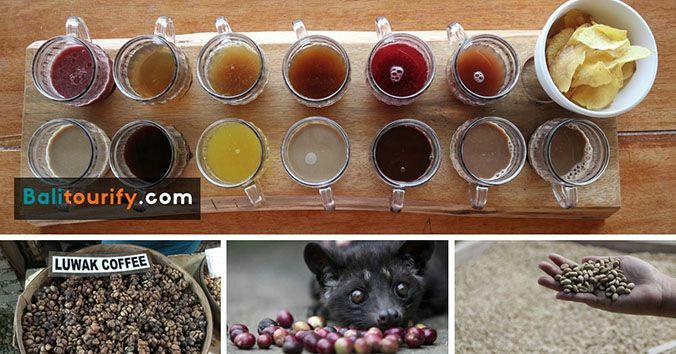 Have you ever heard relating to "Luwak Coffee"? it is most likely considered one of the world's finest coffees. Luwak Coffee or also called Civet Coffee (Indonesian: Kopi Luwak), which indicates the coffee that composed of partly consumed coffee cherries, eaten and then defecated as waste by the Asian palm civets. The palm civet of Asia (Paradoxurus hermaphroditus) is the little viverrid which has original habitats in South Asia as well as in Southeast Asia. If you're interested to try Luwak Coffee then the cost is IDR 50,000 (3,5 USD) per cup. The next place to explore on the full day Ubud and Kintamani volcano Bali tour service is Tegalalang Rice Terraces. 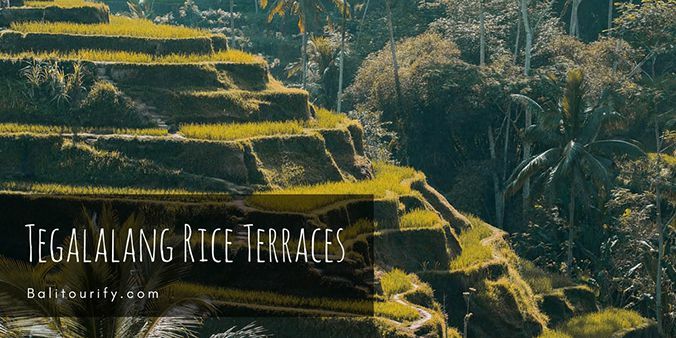 Tegalalang Rice Terrace is one among the most popular tourist places in Bali island situated within Tegalalang Village north of Ubud, Bali, highlighted by the awesome rice terraces set up on the hill. Tegalalang Village lies on around 600 meters above sea levels coated by excellent temperature range in which the majority of the local villagers as the farmer. Tegalalang Rice Terrace in Ubud is well known for its gorgeous clips of rice paddies associated with the Subak (conventional Balinese irrigation system), which based on olden times, was transferred by a respected holy priest called Rsi Markandeya in the 8th century. Tegalalang shapes the three most marvelous terraced scenery in Ubud's stated part, with the rest appearing in the villages of Campuhan and also Pejeng. The Tegalalang rice terraces itself features a picturesque view of the rice paddies on the slopes of the hill across the valley. It's a famous point for travelers to stop for taking photographs. The painters, photographers, and the nature fanatics actually embrace viewing this site, moreover, there are several art kiosks including cafes close to the countertop selling their ware. The last destination to visit on the whole-day tour Kintamani and Ubud Bali itinerary is Ubud Monkey Forest (The Sacred Monkey Forest Sanctuary). It is located within Ubud, Gianyar, Bali, in a Village of PadangTegal. The residents consider the forest as a very important spiritual, educational, economic, and conservation central point for the village. There are various of interest spots which you could discover here. Apart from around 700 monkeys, you will also be able to see 186 variants of trees in 12.5 hectares of forest, in which would enabling you to gain a rich of breeze and fresh air. The type of monkeys that exist in the area of Ubud Monkey Forest identified as the Balinese long-tailed monkey, in scientific described as Macaca fascicularis. You will discover around more than 600 monkeys inhabiting Ubud Monkey Forest. They are separated into 5 groups, every single group covers their own territory. The Ubud and Kintamani day trip ends here and then we will go back to the hotel after experiencing a wonderful time in the monkey forest of Ubud, Gianyar, Bali. The inclusions and exclusions of The Full Day Bali Kintamani Volcano Tour with Ubud Village. General information of the entrance fees and the opening hours of the attractions on the itinerary of The Full Day Bali Kintamani Volcano Tour with Ubud Village. The Pick-up time and location of The Full Day Bali Kintamani Volcano Tour with Ubud Village. Below are the common things to bring on The Full Day Bali Kintamani Volcano Tour with Ubud Village. We accept cash payment for The Full Day Bali Kintamani Volcano Tour with Ubud Village. You can pay directly to our driver on the same day of the tour. You are free to cancel the booking of The Full Day Bali Kintamani Volcano Tour with Ubud Village. You must inform us in one day before the tour (24 hours earlier) for the cancellation. Here are the several commonly asked questions concerning the Kintamani and Ubud Bali tour, please contact us for more info. What's included in the Ubud and Kintamani tour? It includes an air-conditioned vehicle, fuel, driver who speaks English, parking fees, and toll fee. What is NOT included in the Ubud - Kintamani Volcano Bali Day Trip? It does NOT include the meal (lunch), entrance fees for visiting tourist attractions, entrance tickets for watching the Barong dance performance. Is the price listed in The Full Day Kintamani Volcano Tour with Ubud Village for per person or per vehicle? The price listed in the one day Kintamani - Ubud Tour is per vehicle (NOT per person), our vehicle capacity is maximum 6 persons. If you book the full day Ubud - Kintamani Tour for 1 person or maybe 6 persons then the price will be the same (IDR 500,000). What to bring on a Kintamani and Ubud tour? You may use easy casual wear, bring with you a bottle of mineral water to keep away from dehydration (Bali island offers high humidity), sun-screen to protect against skin burns (Bali is hot), sunglasses, cash money (for lunch, entrance tickets or shopping), medicine (if in treatment), smartphone/camera. How much is the ticket for watching the Balinese Barong dance show? IDR 100,000 /person is the cost of the ticket to watch the Balinese dance performance of Barong (updated 2018 - 2019), you could pay it straightly on the location. Any specific guideline, etiquette or maybe dress code to enter the Balinese Hindu temple? Yes, all of the temples of Bali are sanctified, to appreciate the temple's sanctity we must comply with multiple rules. The usual matters are just like wearing a sash and Balinese sarong (generally could be rented in the location but usually it's already included in the ticket price, cover up the upper part of your body (dress yourself in simple outfits, put on at the top that at least covering your own shoulders), you must not enter almost any temple on the island while in the menstrual period (for women). 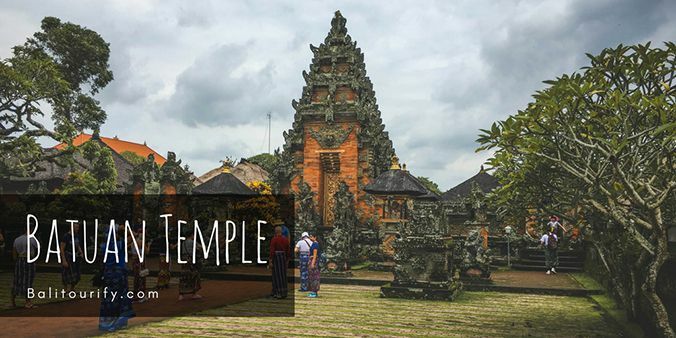 We apologize for the hassle, however, these are a number of common restrictions for visitors when performing the temple touring on the island of Bali. 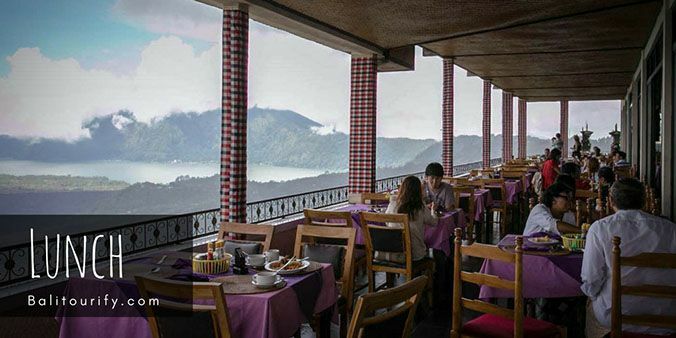 What sort of foods is offered for lunch at the Kintamani restaurant? Nearly all places to eat in Kintamani offering buffet lunches with a range of choices (majority Indonesian menu). We are going to take you to a standard and great one while you are enjoying the scenic outlook of the Batur volcano & Batur lake at Kintamani Bali. How much is the fee for entering the Batuan Temple? To enter the Batuan temple is by donation fee, there is no exact rate and no limitation how much fee you can offer, but normally the minimum donation fee is around IDR 10,000 until IDR 20,000 per person. How much is the admission fee to enter the tourist area of Kintamani? IDR 35,000 /person is the admission fee to visit Kintamani tourist site (valid for 2018 - 2019, the entrance fee may change with no prior notice). How much is the entrance fee to visit Ubud's Tegalalang Rice Terraces? IDR 10,000 /person is the entrance fee to visit the Ubud's Tegalalang Rice Terrace (valid for 2018 - 2019, the fee may change with no prior notice). How much is the ticket price to enter Ubud Monkey Forest? IDR 50,000 /person (adult) and IDR 30,000 (children) is the entrance fee to visit Ubud Monkey Forest (valid for 2018 - 2019, the entrance cost may change with no prior notice). 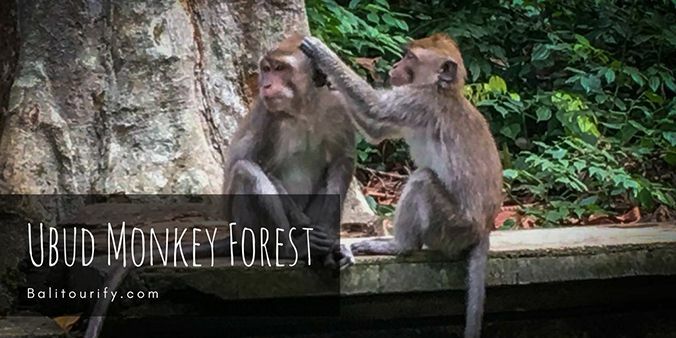 Can I touch the monkeys in Ubud monkey forest? will they bite? Do not touch the monkey (it's not suggested for your own safety), even though they are surely friendly but sometimes they could attack when they are disturbed (particularly female monkey with its baby), and please pay attention to your own belongings (handbag, glasses, phone, hat, camera, wallet, etc) so as not to be stolen by monkeys. In basically, monkeys may not come across you unless you carry bananas or other kinds of food. If you wish to feed the monkey, make sure you do it right carefully. If you are offering bananas or foods to the monkey and they came to take it, you should never attempt to pull it back. To sustain the monkey’s healthiness, various kinds of food like bread, peanuts, candy, biscuits, or other types of human snacks are strictly prohibited to give to the monkeys. The guards with green uniform are standby around the forest and ready to help for any kind of assistance. I am planning to do the Kintamani Volcano - Ubud Bali Tour, how do I book? You can easily fill your details in the Book Now tab below to reserve the full-day Ubud and Kintamani Bali volcano tour. You can also send us an email or at this page to book this tour or any other tours and activities by mentioning the "ID" posted in every tour offer on our website (for example, KUT-01 is the ID for the Ubud - Kintamani Tour) and you must book no less than one day in advance. How do I pay for the Full Day Bali Kintamani Volcano Tour with Ubud Village and how much does it cost? At the moment, we accept the settlement in cash money, the cost is 500,000 IDR (Indonesian Rupiah), you could pay directly to our driver who comes with you on this tour. We are going to convert the price depending on the daily exchange rate if you would like to pay in another foreign currency. Keep in mind that the price of the trip to Ubud and Kintamani volcano is per vehicle (it is NOT per person). How do I cancel the booking of this Full Day Kintamani Volcano and Ubud Village Tour? You are free to cancel the booking of this Full Day Kintamani Volcano and Ubud Village Tour with no cost, but you must notify us about the cancellation at least one day in advance by sending us an email or calling to our contact number.